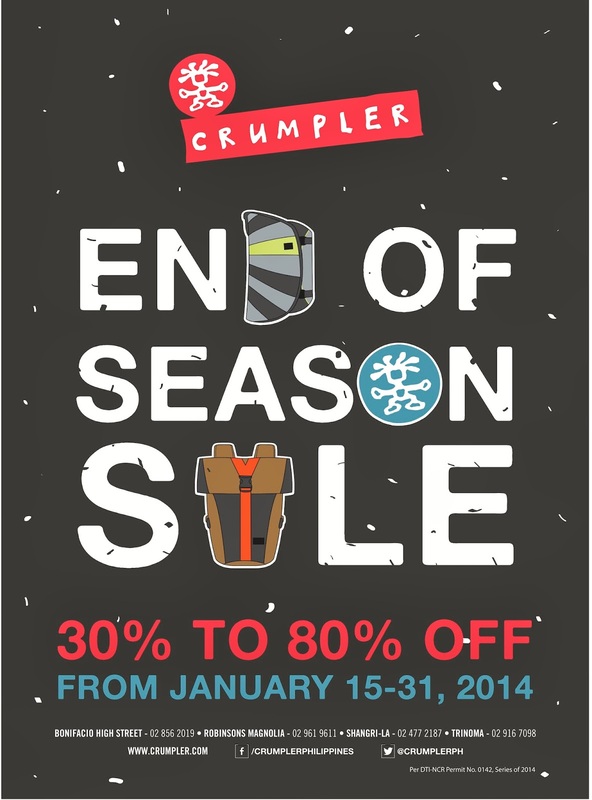 It's time to shop at Crumpler's End Of Season Sale from January 15-31, 2014! Extended until February 15, 2014! Enjoy as much as 80 percent off on pretty Crumpler bags. Visit their branches at Trinoma, Bonifacio High Street, Robinsons Magnolia and Shangrila Plaza. Check out Crumpler on Facebook, http://www.facebook.com/CrumplerPhilippines or read my latest post, WREN Ladies Bag by Crumpler.